According to the company, the promoters and promoter group hold 72.43 per cent of the total equity of over 3.17 billion shares and the rest 27.57 per cent of the shares are held by the public. State-owned iron ore producer NMDC will decide on Friday the names of shareholders who would be eligible to participate in the company's Rs 1,000-crore share buyback. On January 9, the company informed bourses that its board had approved buying back of around 102 million shares (representing 3.23 per cent of its total paid-up equity capital), for Rs 98 apiece. The size of the buyback stands at Rs 1,000 crore. Record date for the same was fixed for today, January 18, 2019. Shares reserved for the retail category (less than 200,000) comes to around 15.3 million shares. Investors holding stock value aggregating up to Rs 200,000 will be eligible to participate in the buyback under the retail category, says JM Financial Research in its research note. "Investors may hold a maximum of 2,021 shares to be eligible (200,000/98 = nearly 2,021 shares). However, to account for price volatility, one might limit the number to 2,000 shares, the brokerage firm said. According to the company’s exchange filing, the promoters and promoter group hold 72.43 per cent of the total equity of over 3.17 billion shares and the rest 27.57 per cent of the shares are held by the public. Assuming nearly 32.5 to 40.6 million shares are tendered in the buyback under the retail category, the acceptance ratio could be in the range of 40-50 per cent. 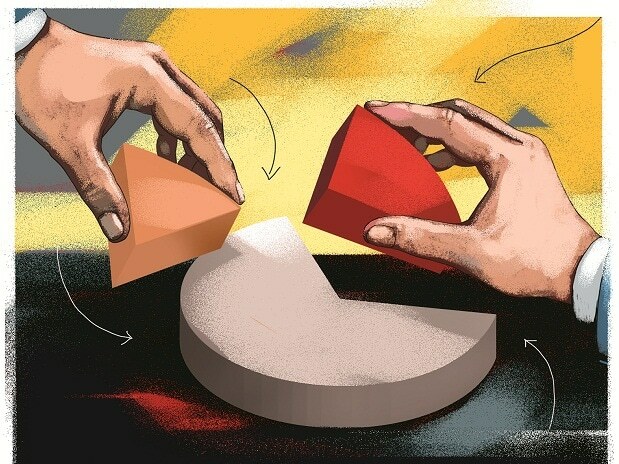 The premium buyback price over the current market price might lead to retail investors buying and tendering a higher number of shares which could bring down the acceptance ratio. However, a lower number of shares tendered would result in a better acceptance ratio, said analysts at JM Financial Research. On Thursday, the stock closed at Rs 91.85 a share on the BSE. Before this, state-run oil majors Indian Oil Corporation (IOC) and Oil and Natural Gas Corporation (ONGC) also announced share repurchase programmes. This apart, Bharat Heavy Electricals (BHEL) and shipbuilding and maintenance facility Cochin Shipyard also announced share buyback proposals as part of the government's disinvestment programme. To meet its divestment target, the finance ministry might also consider selling part of its stake in Axis Bank and ITC, held through Suuti, in the next few months, the report added.